Traveling on a budget? Looking for free things to do in Madrid? Here you'll find a list of the best ten things to do for free in Madrid. 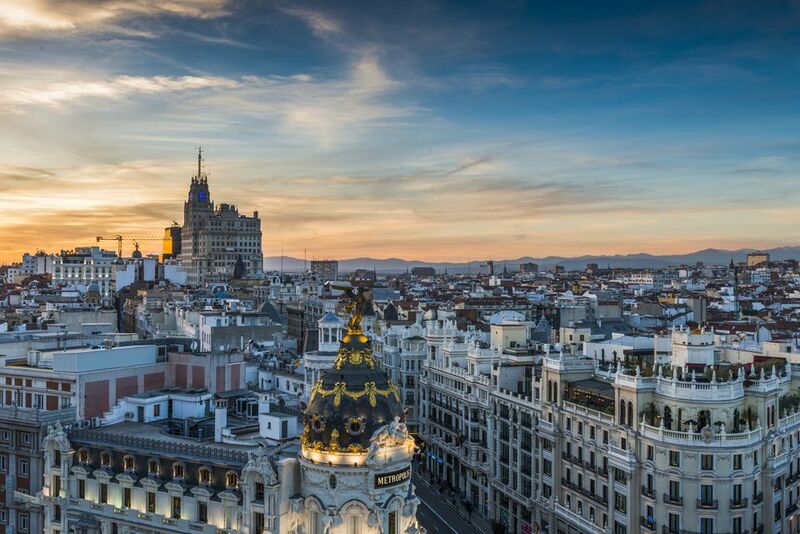 Free sights, free activities, free museum entry - the best things to do in Spain's capital for free. The Reina Sofia is Madrid's world-famous modern art gallery - and it has free entry for a limited time every day. That means you can see many works by Salvador Dali and Pablo Picasso - including the latter's masterpiece, the Guernica - completely free. When is it free? Monday, Wednesday, Thursday, Friday, Saturday 7 p.m. to 9 p.m., Sundays 1:30 p.m. to 7 p.m. The museum is closed on Tuesdays. Officially Spain's most popular tourist sight and free seven days a week! The Museo del Prado is Spain's premier art gallery, housing the finest works of art Spain has ever produced. When is it free? Monday to Saturday 6 p.m. to 8 p.m. and Sundays and holidays from 5 p.m. to 7 p.m. The royal residence, just five minutes walk from Plaza Mayor. When is it free? Wednesdays. The third art museum in Madrid's 'golden triangle', the Museo de Thyssen-Bornemisza has the best private collection of classic and modern art in Spain. When is it free? Mondays between 12noon and 4 p.m. The Museo Tiflológico is Madrid's Blind Museum, maintained by ONCE, the Spanish blind association. Not so much about the blind as for them - which means lots of touchy-feely exhibits that anyone can enjoy. A bit different from the average museum. When is it free? Always! The old Chamberi metro station was closed for many years, gathering dust (one hell of a lot of dust) under the streets of Madrid. But now it has reopened about a museum showing the history of Madrid's metro system. One for train fans and anyone interested in a quirky side to Madrid's history. When is it free? Every day (apart from Mondays, when it's closed). Former barracks that now houses a number of interesting sights. The main attraction is the contemporary art museum, but there is also the Conde Duque, the city archive, libraries of history, music and newspapers and the artisan printing press. If you can't get to see a live bullfight in Spain, at least check out the bullfighting museum, which explains the history and features artifcats of the Spanish pastime. When is it free? Always. Read more about Bullfighting in Spain. An open-air abstract art museum that makes the best use of the dead space under a bypass. Artists featured here include Joan Miro and Eduardo Chillida. The Retiro is Madrid's grand park, slap-bang in the middle of the city. With a lake, trees, flower gardens, chapel ruins and the Palacio de Cristal, it makes a perfect (and close) retreat from the hustle of Madrid's city life.